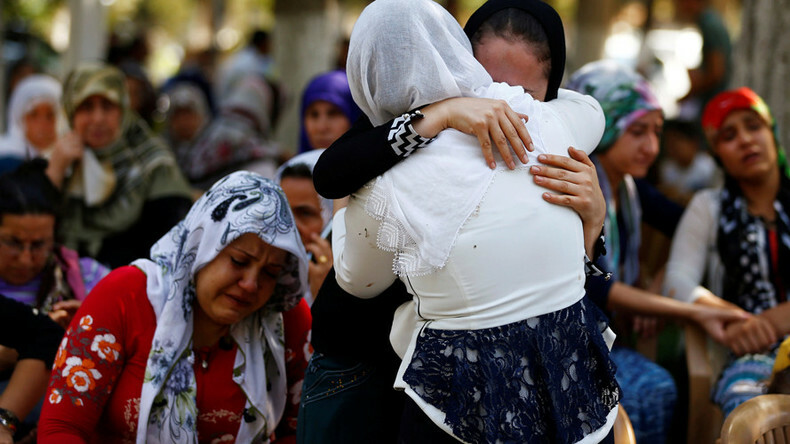 The death toll from a suspected suicide bombing at a wedding in the south east of Turkey has risen to 51 people, according to the Turkish President Recep Tayyip Erdogan. He said the suicide bomber was a 12-14-year-old child. 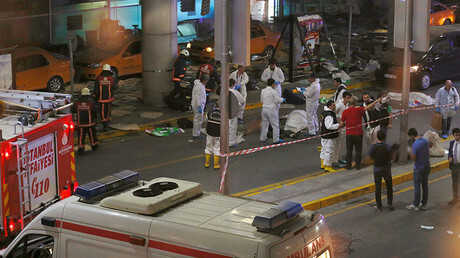 President Erdogan confirmed in a statement to the public broadcaster NTV that 51 people had died in the bombing, while 69 injured people are being treated at hospitals around the province, Reuters reports. He also said that the suicide bomber behind the atrocity was a child between the age of 12 and 14. A prosecutor’s office said they had uncovered a destroyed suicide vest at the site of the blast. The bride and groom survived the attack, however the groom did suffer injuries, a local official said, as cited by Reuters. Mahmut Togrul, a member of the pro-Kurdish Peoples’ Democratic Party (HDP) told Reuters that it was a Kurdish wedding. President Erdogan has placed the blame for the attack on IS, which has carried out numerous atrocities across Turkey in recent months. He called the attack a “heinous” bombing. The attack also comes a month after a failed coup attempt against Erdogan. He has accused the US-based Muslim cleric Fethullah Gulen and his supporters of being behind the attempted power grab. Erdogan says there is “absolutely no difference” between IS, Kurdish rebels in the southeast of Turkey or Gulen’s supporters, saying they are all terrorist organizations. “These bloodthirsty organizations and the powers behind them have neither the will nor power to silence the calls to prayer, lower the flag, divide our motherland and break up our nation,” he said, as cited by AP. Deputy Prime Minister Mehmet Simsek, who is in Gaziantep, said that Ankara would not “yield” to the terrorists. Meanwhile, the prime minister said the attack had turned “a wedding party into a place of mourning” and said that Turkey would triumph against these “devilish” attacks. Police are currently examining the site of the alleged suicide bombing, while hundreds of local residents gathered near the site shouting “Allah is great,” as well as slogans denouncing attacks, according to AP. The world’s leading figures, including Russian President Vladimir Putin, French President Francois Hollande, US and British ambassadors and Pope Francis, have condemned the attack and expressed their support for Turkey. “The crime committed at a wedding celebration is shockingly cruel and cynical. We have once again seen that terrorism does not care not only about the laws of a civilized society, but also the most basic norms of human morality,” Putin said in a letter to Erdogan.